I feel it's really good, if you're in a creative rut, to go and look at something else. 'Cause even though you don't love it, you probably take something with you. Emma Harling is a textile designer with a love for community and a relentless desire to grow. 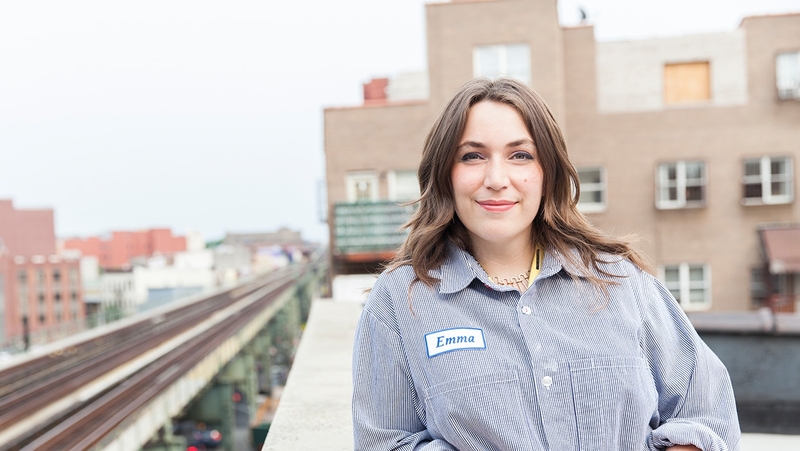 She was born and raised in Sweden, where her father fueled her creative quest, speaking of “raising the ceiling on your thoughts.” When Emma would get her next, big idea, she’d present it to her father. He would say, “What is the ultimate situation you’ll end up in?” He'd follow that question with: “How do you get there now?” That push has stayed with Emma ever since. Attending an arts high school made Emma feel like a part of a community early on. Instead of going to college, Emma traveled after high school like many students in her town. She explored Europe, and saw a lot of “serious creatives” in iconic cities like Paris. She was inspired to become a serious creative herself, instead of waiting for the art industry’s invitation. Upon her return to Sweden, Emma and her friends opened an art gallery. She utilized the varied talents of the team and worked to curate art for twice-monthly exhibitions. Eventually, she decided to attend art school in Gothenburg, Sweden, her hometown. Her focus was a two-year foundation in printmaking. Her school advisors urged her to pursue higher education in the fine arts, but Emma dropped out before graduation. She wasn’t interested in the fine arts. She wanted to get to work in the field of design. So she moved to Stockholm and began freelancing. 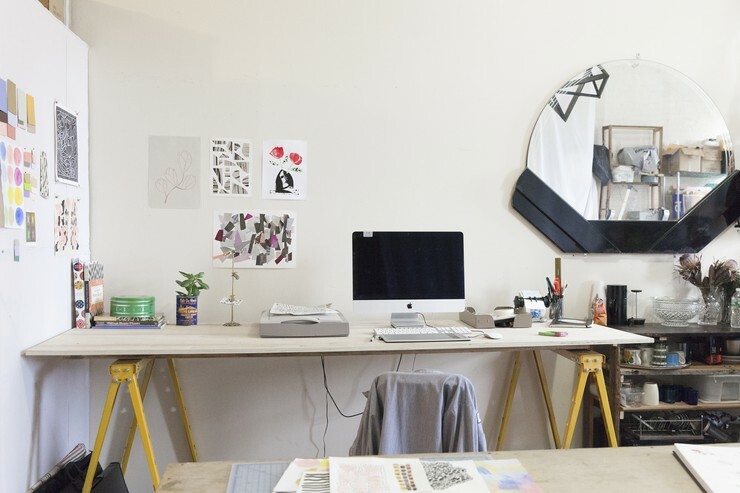 Emma accepted an internship with illustrator and fashion designer, Lovisa Burfitt, and eventually landed another internship at a design firm in New York City. She did so well there, that after three months in New York, they offered her a full-time job. Since then, Emma has worked with a number of design companies, and she’s seen her work pop up all over the world. From New York's legendary Fifth Avenue boutiques, to Gwen Stefani’s designs that utilize Emma’s unique prints, her work has translated across many different genres. 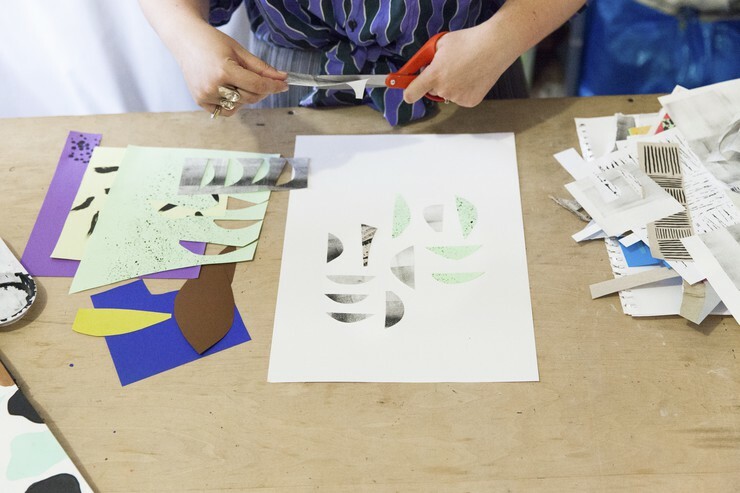 Now, as she develops her unique voice through her graphic and playful textiles, Emma is branching out and working to build a collection she will sell on her own. To create these colorful images, Emma works with what has always steered her on the right course: her intuition. She remains inspired by her travels, her community and even history. The women’s textile movement in Sweden- particularly from 1880 to 1980- has been a huge source of inspiration for her. During that era, women were not generally in leadership positions, but women pioneered and led the textile industry. They worked at the cutting edge of textile design, paving the way for Emma and her contemporaries. This inspiration led her to apply for- and be awarded- a grant to study this historical movement. Emma will research this period, when women designers worked by hand (instead of with computers) to make their pieces. 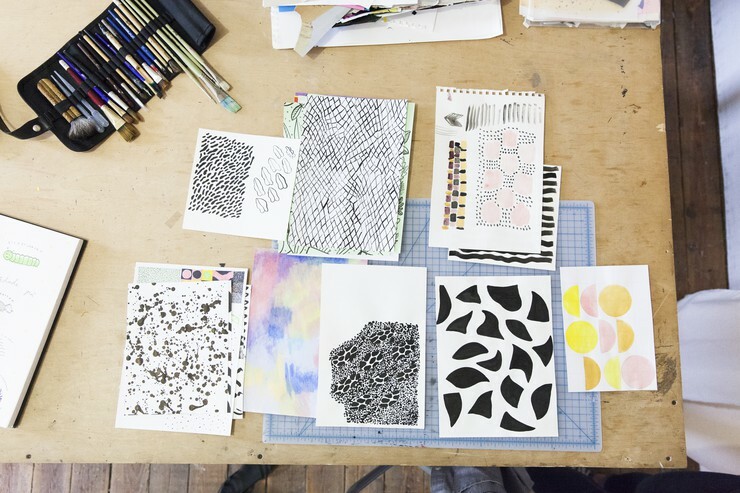 In turn, Emma will make her own hand-printed designs, which will be exhibited in New York. Even though she loves to use Pinterest at the beginning of her creative process, Emma also employs a bit of this manual creativity from the past when she starts a project. She gathers images that inspire her and makes a scrapbook using fragments of the beautiful- and often colorful- images that become the basis for her designs. Emma has a few ideas about what it has taken for her to be successful in her field. It has little to do with what she knows and more to do with what she doesn’t. She says, “Having a community, being stubborn, being excited about new things, being stupid. Sometimes stupid enough to dare to do certain things and to put yourself in an uncomfortable position and hope for the best,” are some ways she's pushed herself to succeed. This unending desire to learn and grow, a desire she’s held since she was a child, has been the backbone of Emma’s career. Her ability to create a community around creative work and her penchant for stepping outside her comfort zone have given her the tools she's needed to forge her own path. Those qualities are just part of what makes Emma Harling a bold and innovative creative force. "The Rolodex was a birthday gift. I like to keep tools I might use close at hand- most important is the left-handed scissors." "[This is] my work jacket that I wear to protect my clothes. I collect patches and got this one with my name on it. I put it on my work jacket so that I would look like a car mechanic." "My friend found this business card holder on the street." "This is a drawing of some animals that I saw when I had just moved to New York; such as a possum, dogs wearing advanced outfits, and a parrot who was friends with a pitbull terrier." "[Here are] reference books, a plant I got to spruce up the studio, and my pineapple canister that I keep sewing supplies in."